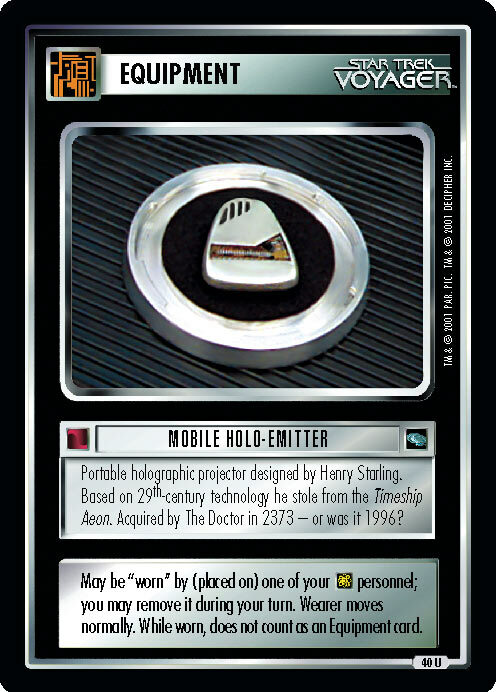 Portable holographic projector designed by Henry Starling. Based on 29th-century technology he stole from the Timeship Aeon. Acquired by the Doctor in 2373 - or was it 1996? 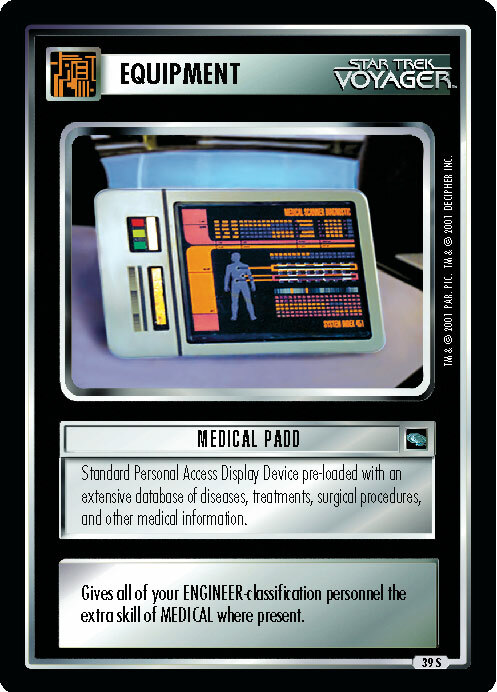 May be "worn" by (placed on) one of your personnel; you may remove it during your turn. Wearer moves normally. 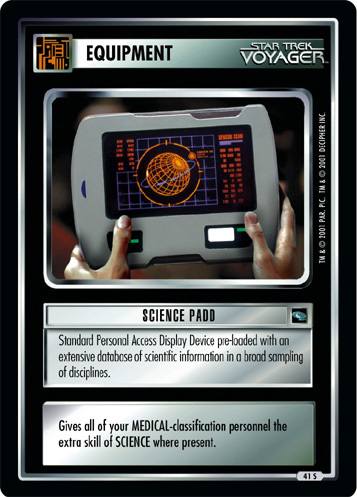 While worn, does not count as an Equipment card. Image Source: Voyager: "Future's End, Part II"